Parents, I must start this memo with the strongest point in my argument; you don’t pick the sport you do well in, your body does. I want every parent who is living vicariously through their kids to remember this. Now, I am not a father, so my point of view must be that of a health professional who thinks the number of overuse injuries in kids is disgusting these days (and my post leads me to believe so do a lot of other professionals). Overuse means that an action is performed too much based on a person’s (and kids are people too) anatomical, physiological, and movement characteristics. About once a week I evaluate a child under 10 who is already dancing 15 hours a week (or some other similar story). Getting back to my first point about your body picking the sport. Say Sally starts to perform gymnastics at age 5, maybe even 6. So at this age a girl’s joint laxity is moderately hypermobile if not more. Now say Sally is good at gymnastics, really good. She’s so good they move her up to the 10-12 year-old group by age 8. Sally’s mom, like every other parent, wants her child to be successful, so Mom makes her do 15-20 hours of gymnastics a week. The problem occurs when Sally turns 12. Ut-oh! Sally has apparently hit puberty, and all that once superfluous joint laxity is slipping away, not allowing Sally to be as flexible as she used to. Mom, being a financial analyst has no clue about what is going on with her daughter’s joints, so she continues ot push Sally. Sally starts to complain of bilateral hip and knee pain with jumping, but Mom just thinks it’s growing pains. You see where this is going? Sally’s body will no longer allow her to succeed as a gymnast, but her mom would probably continue to push her until a major injury occurs. I CANNOT STAND when I meet these parents (but I must understand that most parents have no idea about what is going on). As soon as Sally complains of pain in her hips and knees she should be seeing a doctor or even a physical therapist. When was the last time you saw kids playing a “pickup” game of anything? Where is the diversity we had in our athletic endeavours that prevented us from always being hurt? How come we are straying from what we used to do? Didn’t it work out well for us? The chances of a kid going pro are so unrealistic that it’s not worth pushing our kids to the failing point. Parents need to CALM DOWN (not all parents), and realize that just because a kid can throw a strike from 45 feet when he’s 8 does not mean that he is going to be the next Pedro Martinez. Kids are kids, not small adults, and their bodies aren’t even close to developed by the time parents are determining what sports they will play. True focus on one sport should never, ever begin before puberty due to bone, joint, and muscle being underdeveloped. Spinal curves develop at about one year old. Normal gait patterns and hip developent isn’t established until about 8 years old – meaning any running or skating activities may change drastically from before to after this age. Bones ossify into early adolescence. 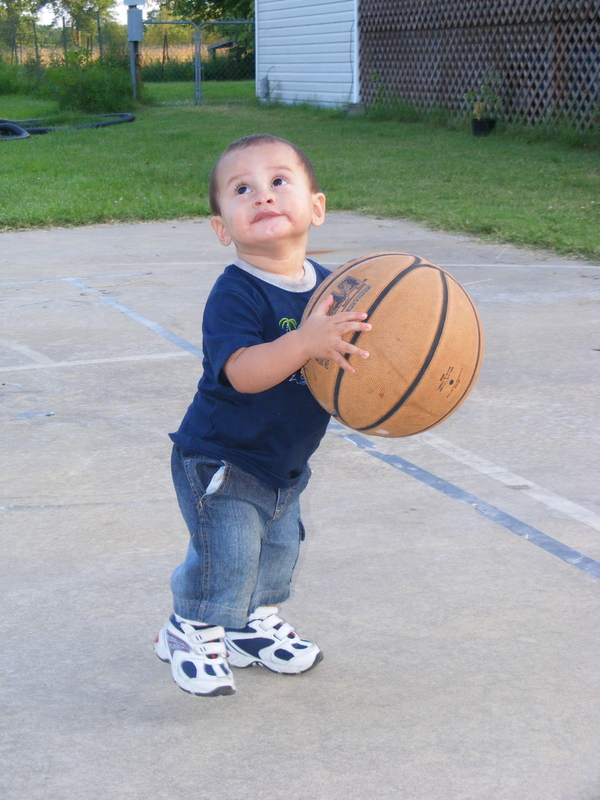 Muscles grow slower than bones during growth spurts, leading to possible pain or injury. Most males do not stop growing until their late teens or early twenties. Most teens attain cognitive maturity (the ability to make decisions based on knowledge of options and their consequences) between 13 and 17 – So saying “Little Jimmy (7 years old) says he wants to play baseball year-round,” is not a valid excuse. The NSCA (National Strength and Conditioning Association) states that gentle body weight exercises are OKAY in pre-pubescent individuals as long as they are performed and prescribed by a qualified professional. If you have any questions or comments you can reach me at mikescott.dpt@gmail.com.